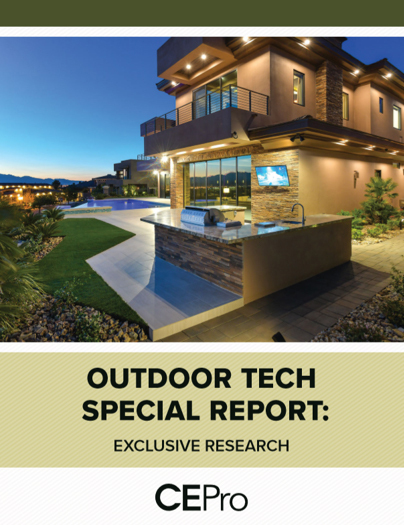 SunBriteTV topped the outdoor video category with 59% of CE Pro 100 dealers choosing the brand for their outdoor installations. The CE Pro 100 is a list of the highest revenue custom installation companies compiled each year (check out the list). Integrators that made the list gave us an inside scoop on what manufacturers and brands they turn to again and again. In this CE Pro 100 brand analysis series, senior editor Bob Archer delivers an in-depth look at the most frequently used manufacturers in nearly 50 product categories. The numbers associated with each manufacturer reflect the number of CE Pro 100 dealers using that brand. SunBriteTV and Séura hold their respective rankings with approximately the same dealer totals as in our 2015 Brand Analysis. Halving from 18 to nine brands, this year’s category numbers suggest that CE Pro 100 dealers, for the most part, are firm in their go-to outdoor video providers. View the full report.